Before 1970, ballet was always the dominant dance style the world knew and loved. Today this is not so anymore as modern dance dominates our theaters more and more. Let’s look at some modern dance history. You can read about how early modern dance started by clicking here. By the 1970s the London Contemporary Dance School in Britain and the company had been going for about four years and they were beginning to make an impact on the British Dance Scene. In Canada, so close to American modern dance sources, modern dance had begun to grow during the same period but spread across Canada’s vast territory in small, uncertainly financed groups. By the 1971-2 season, there were nine companies, one each in Vancouver, Winnipeg and Edmonton, two in Toronto and four in Montreal. None of these companies at the time could offer more than sporadic employment to their dancers although the Toronto Dance Theater had begun to attract subsidies which before long made it the most firmly based modern dance company in Canada. This was the beginning of a modern dance explosion in Canada which has continued throughout the 1970s and attracted all the young people. In Australia, the same trend was discernible in 1970 in the work of some teachers and choreographers returned from Europe, although it would be some years before this new interest became translated into the development of professional modern dance companies. In New Zealand, the trend is more recent but equally unmistakable. So What Exactly Is Contemporary Dance? 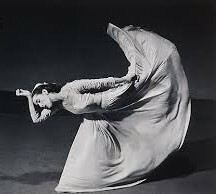 Contemporary dance is the name given in Britain to that branch of modern dance which derives from the school and company of Martha Graham (pictured above) in New York. The London Contemporary Dance School and Company derive their work directly from Martha Graham through their artistic director and principal choreographer, Robin Cohan. He was a dancer for many years in the Martha Graham Company and he became one of the company’s associate directors and teachers before accepting Robin Howard’s invitation in 1965 to help found a contemporary dance organization in London. At around that time, Britains oldest ballet company Ballet Rambert abandoned its allegiance to traditional classicism in favor of a style of modern dance which though classically based was greatly influenced by the practices of leading modern dance choreographers in the United States, especially Graham and Glen Tetley Tetley, and thus modern dance history began in Britain. In Canada, the influences were very similar. David Earle and Peter Randazzo, two of the three initiators of the Toronto Dance Theater in the spring of 1968, were disciples of the teaching of Martha Graham. So, too, was Patricia Beatty who joined them later the same year to establish the company. Earle also had experience with the London Contemporary Dance Theater and was a member of its company during its formation in 1967. ‘Witness of Innocence’ was part of the opening program in October that year. In Australia, the American influence is much less marked and modern dance is closer to the classically based Rambert model. 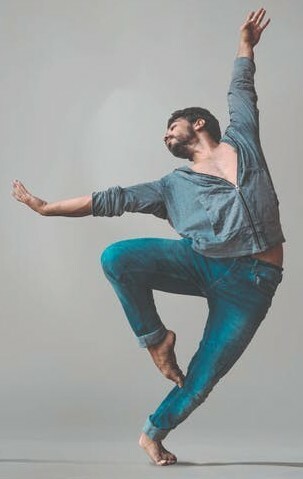 Former lead dancer Jonathan Tayler became director of the Australian Dance Theater which serves the states of Victoria and South Australia. Graeme Murphy who was the artistic director of the Sydney Dance Theater is classically trained and gained his first experience of contemporary dance through working with the French Ballet’s Felix Blaska. Before him, it was Jaap Flier of the Nederlands Dans Theater. Thus Australia has a long connection with the Central European tradition of modern dance through Gertrud Bondenweiser the Australian teacher, dancer, and choreographer who settled in Sydney in 1938, where she opened a school and formed a company of dancers, many of whom are still teachers today. Australian modern dance history thus reflects European influences and may in time develop a style very different from the leading styles of America. Modern dance now accounts for a substantial part of new choreography in the dance theater of all three countries and hence also for much new music and theatrical design. The London Contemporary Dance Company and Ballet Rambert remain its creative centers, but there are other influences from across the Atlantic. It is no longer possible, therefore, to speak only of classical ballet in any national dance theater. Click here to see how you can obtain your own copy of Dictionary of Modern Ballet. General Editors: Francis Gadan and Robert Maillard which was published in 1959. This was another version also published in 1959, which will also make fascinating reading for teachers of contemporary dance. So when it comes to modern dance history, all the styles of modern and contemporary originated in the twentieth century. Any earlier works were created using the style and technique of classical ballet. Classical ballet, therefore, has both a historical image and a contemporary image. For example ‘The Sleeping Beauty’ is spectacular and opulent and a classic fairy tale told in dance which is so obviously classical ballet and then you get ‘Serenade’ which was done by Balanchine with no story using the bodies rather differently with modern dancing influences. The similarity here is the dancers were all classically trained and you can see this by the way that the dancers hold themselves and move. I still believe that every dancer, no matter what type of dancing that they study should have good technical training in classical ballet. In this way, they are able to achieve all the lines and make them look good in all the other dance forms. I seem to always find it difficult to understand the difference between contemporary and modern. From my last research, modern seem to be pre world war II, and contemporary post world war II. But as this post tells, Ballet seems to be on the back foot now. With modern dance picking up and dominating space. Thanks for stopping by Marshall. Contemporary and Jazz amongst other dance forms all fall under the umbrella of Modern Dance. There are many different styles of modern dance, and contemporary is just one of them which is growing in popularity. I don’t think ballet will ever die though, as there are still many people who love to do this art form. I am sure you will enjoy the freedom that modern gives you, just as a break from the strict ballet discipline.